Sabina is 8 years. It has been 4 years since a “supernatural event” happened to her, claims her mother. The story goes like this: Sabina was in her room when her mother saw smoke coming from her door. She rushed in and saw her daughter’s flesh on fire, however, nothing else including her clothing had flames. Sabina says she was “called toward the fire”. 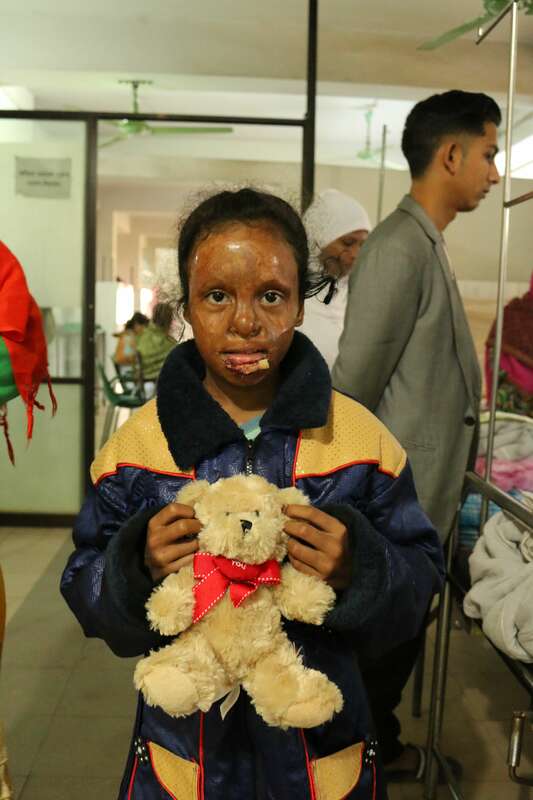 Her mother simply touched her and the flames took to the air and vanished, leaving her daughter covered in melted skin. She said that Sabina was very beautiful and so that is why an evil spirit attacked her. Since then they have endured so much suffering. Every two weeks they go to doctor’s appointment for procedures or in hopes of new cures for marbled skin and places where she has lost function. 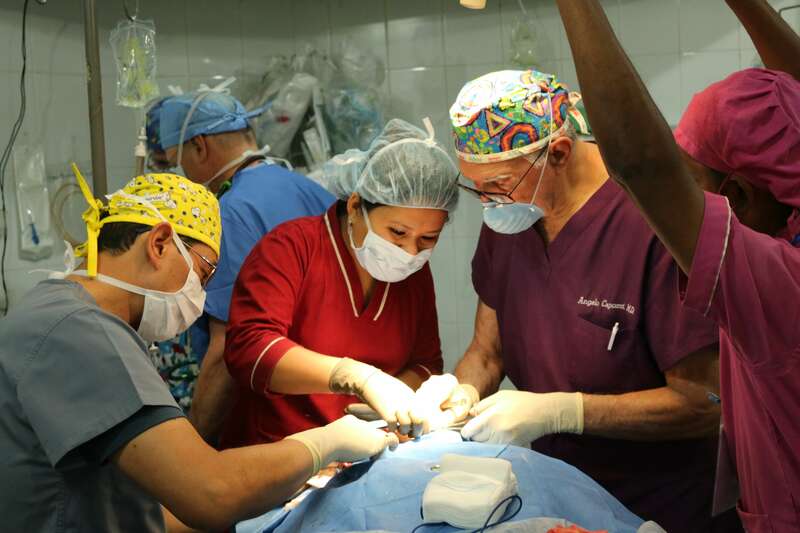 This has cost them so much money they do not have, which is when they heard about the free surgeries that Rotaplast offers. Last year, Sabina came and Rotaplast worked on her nose to open back up her nostrils so that she could breath better. 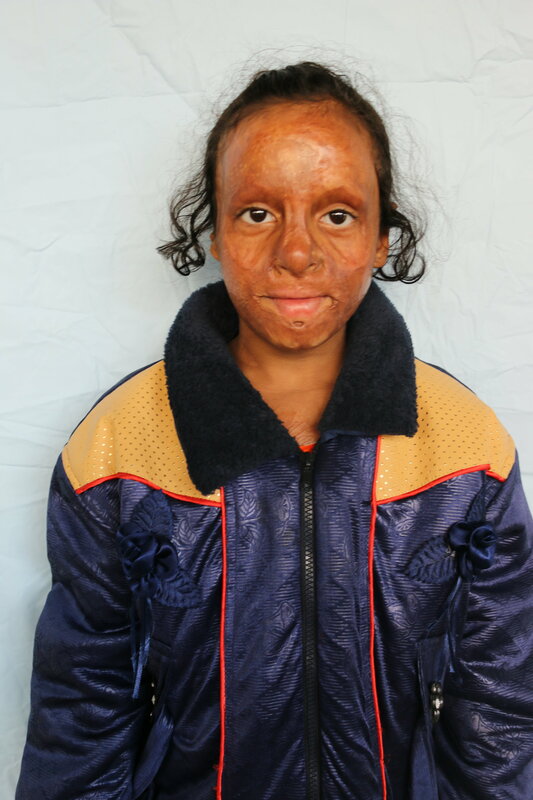 This year Sabina received a skin graft from the back of her ear to form newly shaped lips that protrude and function better, performed by the magical hands of Dr. Martin Solis and Dr. Angelo Capozzi. Sabina does attend school because her mother says she is very smart. However, because of the way she looks people ignore her. Tearfully her mother shares that no one wants to be friends with her because of her deformities and that she comes home everyday crying. 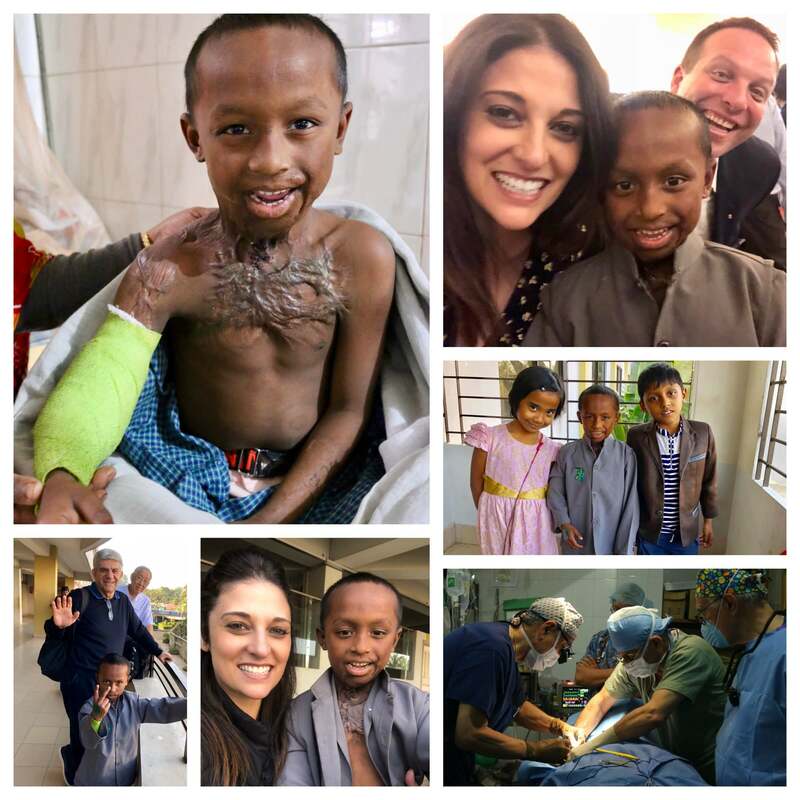 They hope that every Rotaplast surgery brings Sabina closer to being able to have friends one day. We look forward to checking her progress at Closing Clinic tomorrow. This is Mohammed and we sure love this little guy. 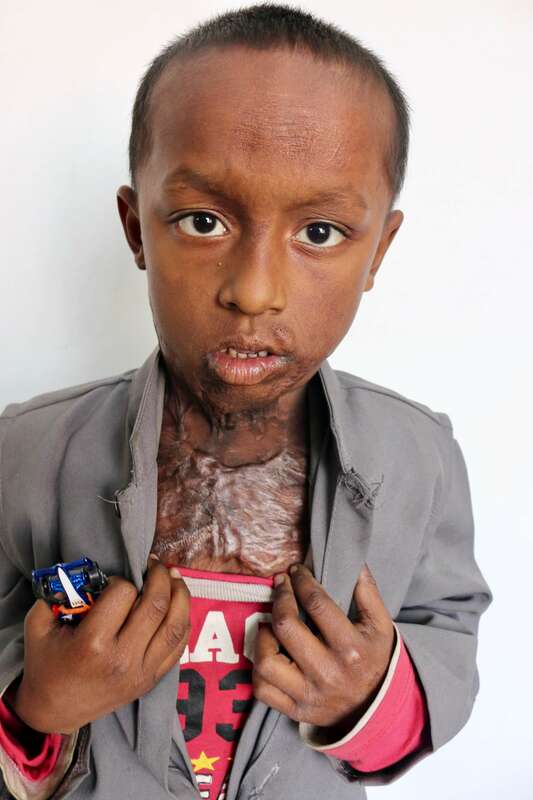 He fell into a pot of hot oil when he was little chasing his brother around the house. Last year he received a pretty drastic neck contracture release from Dr. Milton Solis, who is on the mission again this year. However this time it was Dr. Wally Chang who operated on Mohammed, expertly moving pieces of his neck skin so that he could have better range of movement. 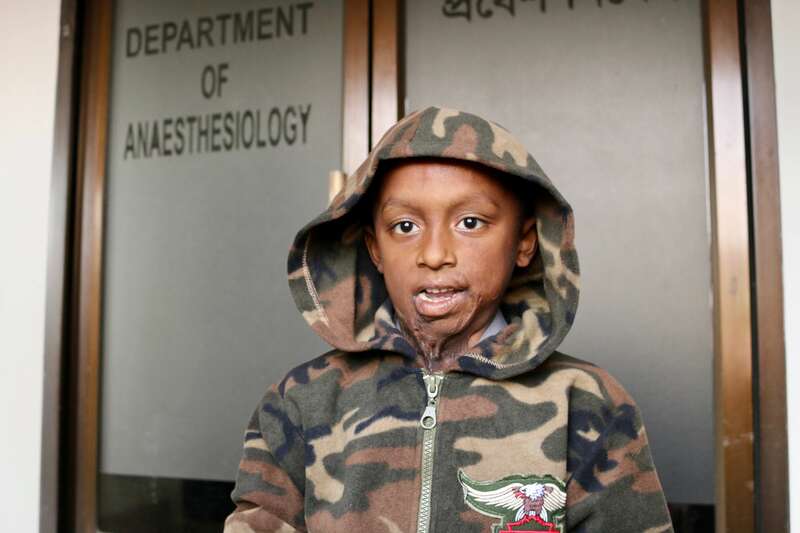 Dr. Chang also released Mohammed’s arm, locked into a 90 degree angle from the same oil burn incident. His mother says he is most excited to finally learn to ride a bike now that his arm will be freed. He is homeschooled but has many friends. He is excited to show them the results of his surgery and how much more he can play now.